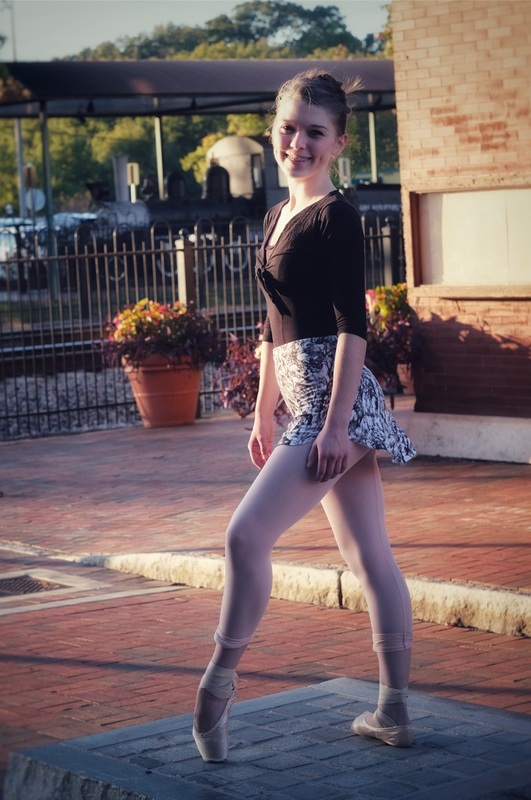 I am a seventeen year old professional trainee ballet dancer who is currently pursuing a marketing degree at the local college as a dual enrolled student. Outside of dance and school, I really enjoy writing, archery, traveling, music, photography, as well as spending time with friends and family. My blog is about as random as it can possibly get, so I hope that you stop by and find something that interests you! It’s guilty confessions time! Many of you have been waiting on this post since you voted in January’s blog post poll, so I am super excited to finally release it. This is where I confess four shameful things that I am guilty for and hope that you don’t judge me too harshly… Here we go! 1: I have typed wrong my entire life. I actually didn’t even realize this until about two months ago when my mom pointed it out. My left hand was typing fine, but my right index finger was literally stretching to hit every letter on the other side of the keyboard. I am currently trying to break this habit after years of incorrect typing, and it is definitely not an easy task. 2: I have a childish fear of needles. This is painful to admit, but I am absolutely terrified of needles. Even sitting in a doctor’s office makes my body tremble, and I have cried several tears (even as a teenager) because of this childish fear. 3: I am a really bad nail biter. I have been guilty of this for years, but it is actually much better than it use to be! Honestly, I use to bite my nails until they would bleed, so I am definitely making progress. 4: I gave my friend her birthday gift three months late. Yes, this actually happened. I got the gift on time, but I kept leaving it at my house whenever we would see each other. I felt so bad, but I finally got the gift to her three months late. What are you are guilty for? Can you relate to any of these things? Photo credits: Thank you, Grandma Gayle, for capturing this awesome in-between moment when I was least expecting it. That’s right. I am dabbing in this ballet photo shoot (more to come) to celebrate my amazing experience with blogging and the evolution of Maysa Rose from its birth in 2013! I never thought so many people would genuinely care about all of the random thoughts that I document on this public diary, so I am absolutely astounded with its growth especially within the last year. This space gives me so much joy, and I am incredibly thankful for this site and everyone who reads it! I began Maysa Rose back in 2013 as a highly talkative fifth grader with an ink pen who filled entire notebooks with stories and poems. My dad recognized this budding passion for writing and he suggested that I begin a blog so that my words could actually be read. I jumped at the opportunity, and I really kept up with blogging before I practically neglected it about a year or two later. After awhile, I decided to pick it back up again, but I didn’t want to start where I left off. I completely redesigned my site and actually deleted all of my old posts to get a clean slate. I started posting very frequently, and I really began to find joy in writing again. Blogging has been my absolute obsession ever since! I don’t even know where to begin; being the author of Maysa Rose has been such an amazing experience, and it has significantly changed my life for the better. My writing has matured so much through the years, and I have met so many amazing people who continue to inspire me every day. This site is filled with so much positive energy, and the encouragement has really helped me through life’s unpredictable moments. Sometimes, all it takes is ONE positive comment to turn the entire day around, and a couple bloggers have written such beautiful words that I still remember to this very day! I actually cannot recall any offensive or negative comments, so I am very blessed for that. I never imagined that Maysa Rose would grow as much as it has, and I am so thankful for this opportunity to share my passion with the world. Thank you all so much for everything, and I cannot wait to see where this goes from here!! Do you have any questions about blogging? What is your blogging story or experience? Did you enjoy this post?